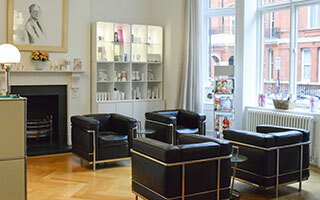 Hair and scalp treatments at our London and New York Clinics last 1hr and involve a relaxing 10 minute head and neck massage. A clinical treatment can include the application of scalp and hair creams, steam, scalp massage, infra red, radiant heat or ultra violet light therapy. All treatments are individually prescribed, depending upon what is required. 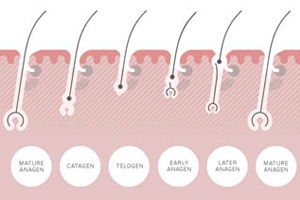 Complaints, such as hair loss and scalp problems, are thoroughly investigated and often there is a combination of problems to address. Blood tests are frequently required and in some cases we may liaise with your doctor or other specialist. However, it may be that the cosmetic appearance only needs to be improved. Most scalp and hair complaints and conditions can be treated in our clinics by our experienced trichotherapists, and/or by at home use of clinical prescription products. However, there are also specific hair and scalp needs that can be addressed through our retail range, without the need for clinical perscription. These include clearing common, uncomplicated cases of dandruff and also maintaining hair strength and elasticity. 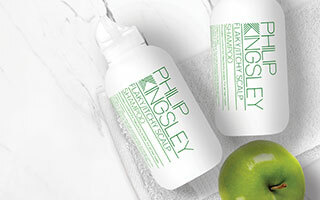 Our retail hair care product range is available to all, for the best everyday hair care and maintenance. Please use our product selector to establish your personalised hair care routine for your hair type and condition.